A national conversation about money is around the corner. 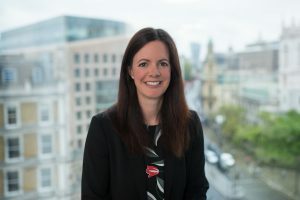 As we approach Talk Money Week, UK Financial Capability Director Sarah Porretta explains why this event has evolved from an annual celebration of financial capability work by organisations, to include a direct focus on helping the consumer get talking. This month we’re working to turn talking about money from one of the UK’s least favourite topics of conversation into something that becomes as natural and familiar as talking about the weather. For many of us, taking the step to start talking is the first challenge to overcome before we access all the amazing services available to build our financial capability. Eight in ten people who get advice about their debts say they feel less stressed, less anxious and more in control of their lives. Debt is one of the conversations people really avoid having. Research shows that people can delay talking about their debts for up to a year before they seek help. By which time, a small problem can become a debt crisis. Almost four in ten adults in problem debt say it has had a negative impact on their relationship with their partner. Debt can severely affect the people close to you. Almost four in ten adults in problem debt say it has had a negative impact on their relationship with their partner, with one in ten saying it has even led to relationship breakdown. You are also three times more likely to argue with your children than those not in debt. Nobody wants to add more stress and upset to the people they love. So if you’re ready to have the conversation but don’t know where to start or worry that it will end in a row, read The Money Advice Service guide: How to talk about money. It’s full of practical tips to help you get started. You are three times more likely to argue with your children than those not in debt. If now’s not the right time to talk to your partner you can speak to a free debt adviser, however big or small your problem. Advice is confidential and non-judgmental and they will help you find the best debt solution for you. You can have that conversation online, over the phone or face to face. People who make financial decisions together are less likely to experience financial problems and relationship pressures as a result of debt than those who make decisions alone. People who make financial decisions together are less likely to experience financial problems and relationship pressures. This is particularly important to know if you tend to make impulsive money decisions you might later regret. Talk your plans through first with your partner or someone you trust. 97% of people feel better informed about their pension options after seeking guidance, while over nine in ten people now feel confident they could spot a pension scam. 97% of people feel better informed about their pension options after seeking guidance. If you’re aged 50 or over and have a defined contribution pension (not a final salary or career average scheme) you can get a free appointment to discuss the best ways of using your pot in retirement and tips on how to keep your money safe. You can talk to an adviser face to face or over the phone. Talking through money intentions with friends and family can make us more likely to keep our promises. If you want to reach a savings target, making a public commitment of your goal to friends or family and reporting back on progress can get you there quicker than going it alone. Children’s money habits are formed younger than you think. As young as the age of seven, children have developed attitudes and habits around money. As young as the age of seven, children have developed attitudes and habits around money. Talking with children about money from an early age helps them to form good habits that will last a lifetime. The sooner you start the better, but you can make a difference at any age. From toddlers to teens, the Money Advice Service has lots of fun, easy ways to start. To join the national conversation about money, type in #TalkMoney on Twitter or Facebook, call up the Money Advice Service for free impartial advice, or peruse our guides to talking about money for ways to break the ice.